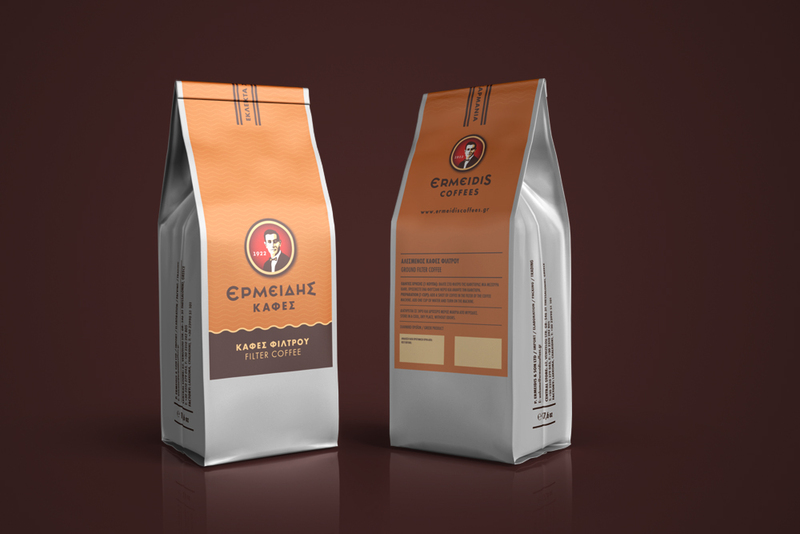 The involvement of Ermeidis family in the production of coffee starts in Trabzon, of the Black Sea, around 1890. 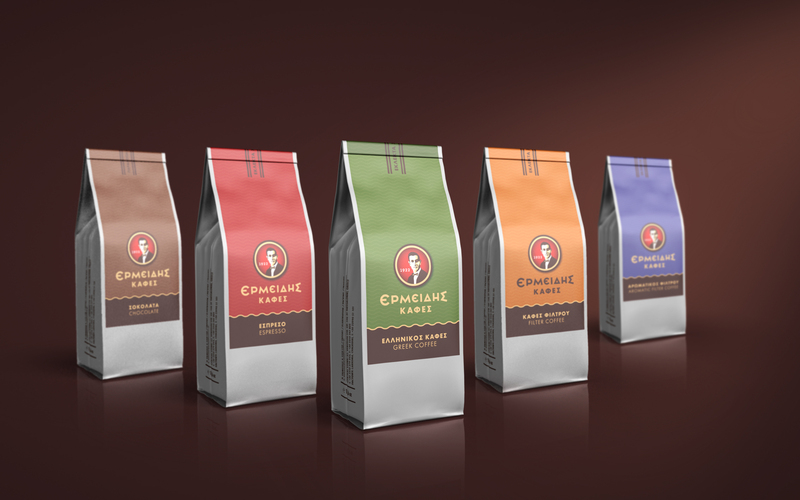 Its main activity is the import, elaboration, packing and trading of coffee. Today, "Ermeidis Coffees" runs one of the oldest coffee shops in the center of Thessaloniki (since 1922) and a factory of 2000 sq.m. in Lakkoma-Halkidiki. 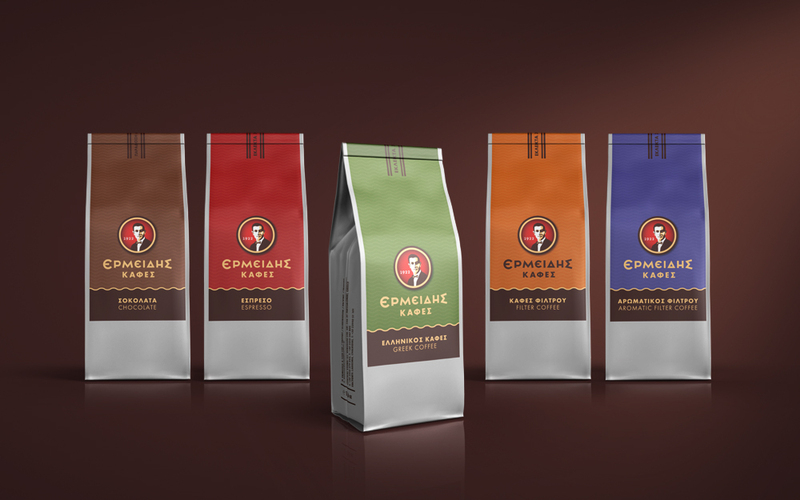 As part of the company's image renewal, we designed a series of retail coffee packages with respect to the history of the Ermeidis family. Enjoy! Creative direction by Christos Tsoleridis.